Elektron was one of the earliest Soviet scientific satellite missions to be authorized following the initial Sputnik (D-1) series. The two spacecraft were designed to be deployed in a single launch of a Vostok-K booster. The spacecraft had the specific task of mapping the Van Allen radiation belts at higher inclinations than that achieved by US satellites of the time (60 degrees vs 30 degrees latitude). 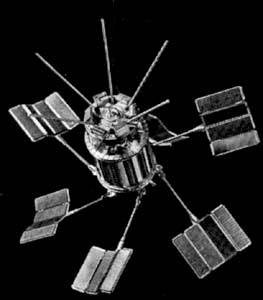 The Elektron missions consisted of two different satellites in each pair. Elektron 1 and 3 were used for the lower orbit, while Elektron 2 and 4 were boosted to a higher orbit. Decrees authorizing design and building of the Elektrons were issued on 9 May 1960 and 13 May 1961. Design work began in July 1960. Elektron 1 was launched on 30.01.1964 with Elektron 2 , while Elektron 3 was launched on 10.07.1964 with Elektron 4. Elektron 1 and 3, with a design mass of 350 kg, were 325 mm in diameter and was designed to be placed in a 425 km × 6,000 km orbit and map the inner Van Allen belt, simultaneous with Elektron 2 and 4's study of the outer radiation belt. The spacecraft also measured cosmic rays and the upper atmosphere.